So... since today is Friday (finally.) and I have very few brain cells left, I thought I would tell you wonderful people about some things that I am obsessed with right now. I have seemed to be fixated on things a little bit more than usual, which is kind of weird for me. It might be because I am so busy, and I crave a routine. I recently had a gift card to Sephora, and on Monday night I finally got to go there and try out all the fun things! I had been eyeing this foundation for a while, and I am SO happy with the coverage. The powder gives really good coverage that lasts, but also looks very natural. 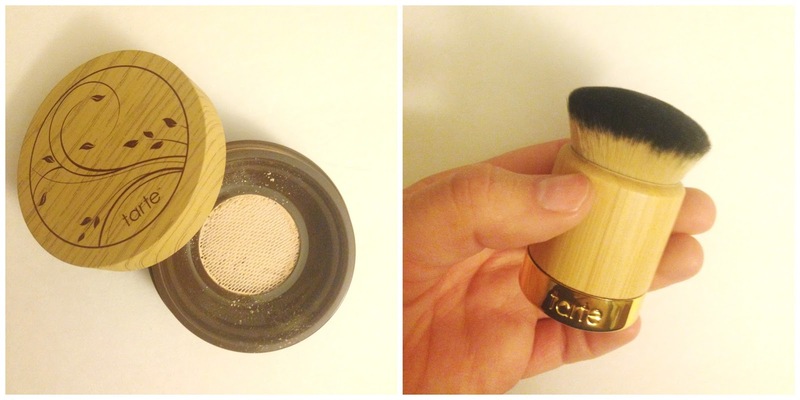 The kabuki brush works perfectly to help distribute the powder foundation on your face. The bristles are so soft, and they fit perfectly into the mesh in the foundation pot to make application easy. This is probably the highest quality brush I own. Also, if you have never had someone at Sephora do a color match for you, I highly recommend it. I was totally wearing the wrong shade of foundation for probably a long time. I should be wearing a much lighter shade. Thank you Sephora color matching technology. I picked this up from Sephora on the recommendation of a friend, and am blown away by the quality of these products. I wanted to get the mini duo, so that I could try the Sugar Fresh (clear) and the Rose, which is tinted. It was 22.50 for the two, and even though I'm usually cheap about stuff like lip balm, I think that is totally worth it. I will definitely be buying one of these again in the full size. I received these in my XOVoxBox, and I am in love. Normally I don't add in any scent additives to our laundry due to some sensitive skin issues, but these are packed full of amazing, fresh scent from the Febreze. 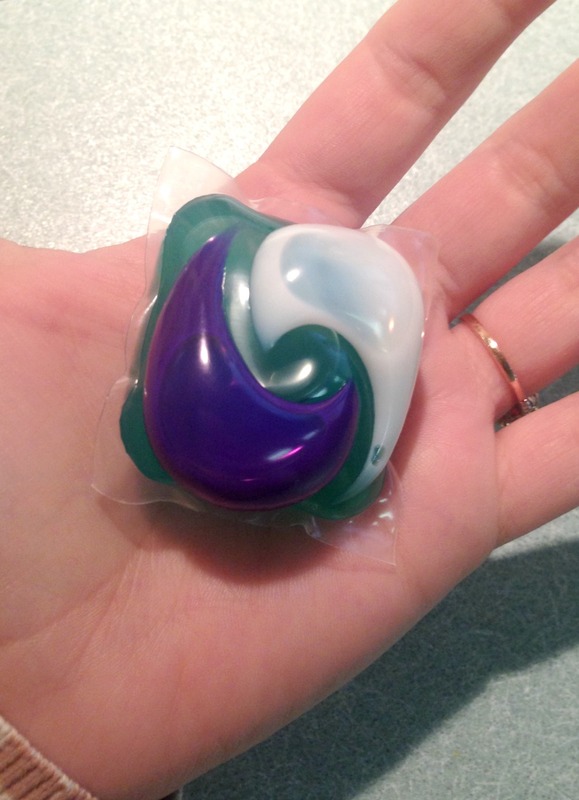 They are so easy to use, and you don't have to play around with measuring detergent. Am I the only one who is worried about using too much/not enough? With a stinky boy who is always sweaty from working out, I will definitely be buying something like this again in the future. There is a Starbucks right down the street from my office, and I have been driving down there (almost) every afternoon to get a coffee and one of these babies. I try to justify it by saying that by working late I deserve to treat myself. Which may be true, but not every day. 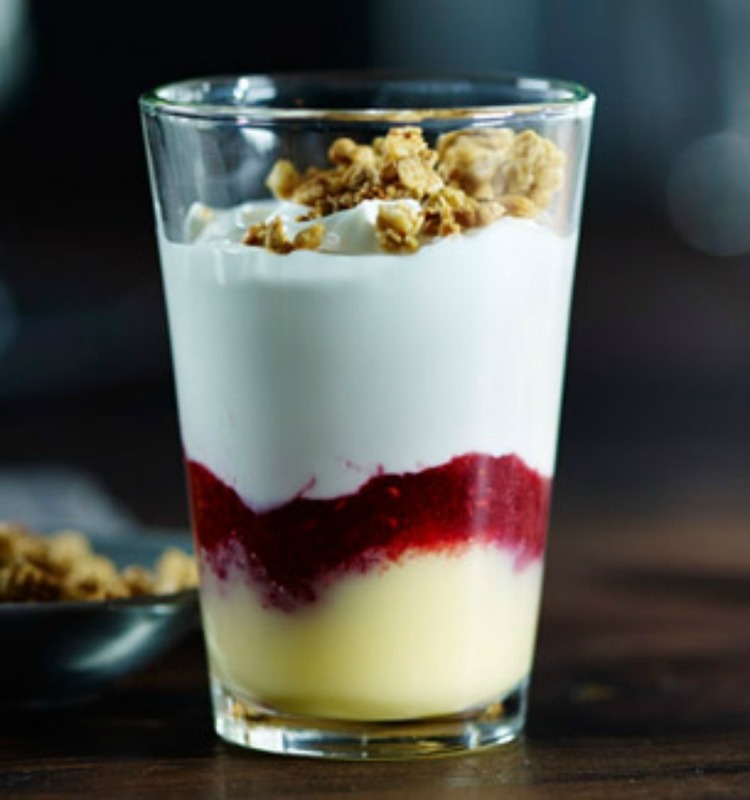 They are the perfect mixture of sweet, tart and crunch. I need to figure out how to make them, so that my wallet will be a little bit happier. What are you loving right now? Obsessing over anything? Hey! While you're here, head over to my new about page, and let me know what you think! Linking up with Karli, Darci, Lindsay and Ashley. I love Tarte Amazonian Clay Foundation. I did a color-match at Ulta; I was also wearing too dark a shade! I need to try the brush, too. I tried Tide Pods a couple of years ago, and they put blue spots on some of our clothes. No doubt it was something I did, but I want to love these so much!! Have a great weekend, friend! I haven't tried the lemon version of the parfait. I've looked at it pretty much every single time I've been in Starbucks but talked myself out of it. I think it just might be my Friday treat today! It is SO good. Careful, you might get hooked too! The Amazonian Clay blush is next on my list. I wish Ulta was closer to us. Sephora is way closer, but way more expensive. It is SO good! I really need to start making them! Maybe a post in the future...? I love that foundation too! I wish I had bought the brush to go with it - for now I jusr use mt beauty blender. Does the beauty blender work for powder foundations? I really want one, but I'm not really a fan of liquid foundations.